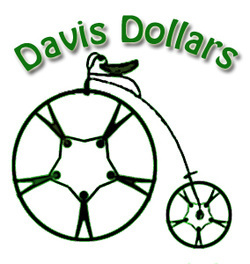 Davis Dollars is a community currency that encourages people to spend locally and get to know each other. You can spend at some businesses, and also buy or sell goods and services from each other! I launched the community currency in May, 2010 because I believed it would help the economy and community of Davis. See more detail about how Davis Dollars works on our About page.